The brands that grow the quickest are the ones that get people talking. 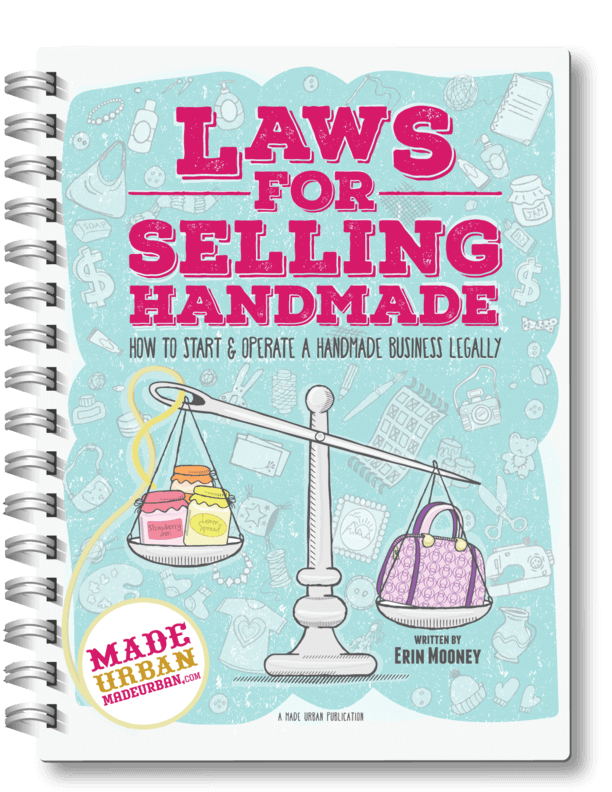 When your shoppers and customers become raving fans, they help promote your products and your handmade business. Everyone and their mama has a cellphone and majority of those phones have a camera on them. Why not encourage craft show shoppers to take that phone out and use the camera to help promote your handmade products? It’s much easier to sell to existing customers than it is to acquire new ones so this first technique is to get your customers to promote your business to themselves. A subtle reminder of your business will keep it top of mind when they’re ready to purchase again. And a good way to subtly remind your customers of your business is to get your info onto their phone. We talked about getting your business information onto people’s phones in this article. Check it out for the full details but the gist of it is to set up an enlarged business card on your craft fair table and encourage people to take a picture of it instead of grabbing one of your cards. Over 80% of people toss business cards shortly after receiving them and I’m sure the other percent misplace them or place them somewhere for safekeeping and forget about it. If you can get your info onto people’s phones, they’ll always have it at their fingertips and be constantly reminded of your business every time they’re looking through their camera roll. The key to these next two is to create a really awesome prize people will be stoked to win. You can offer a discount on their (next) purchase if you want everyone to be a winner or each person who participates can be entered into a draw. If the juice isn’t worth the squeeze, they won’t bother putting in the effort of snapping a picture and posting it to social media, which helps promote your products. 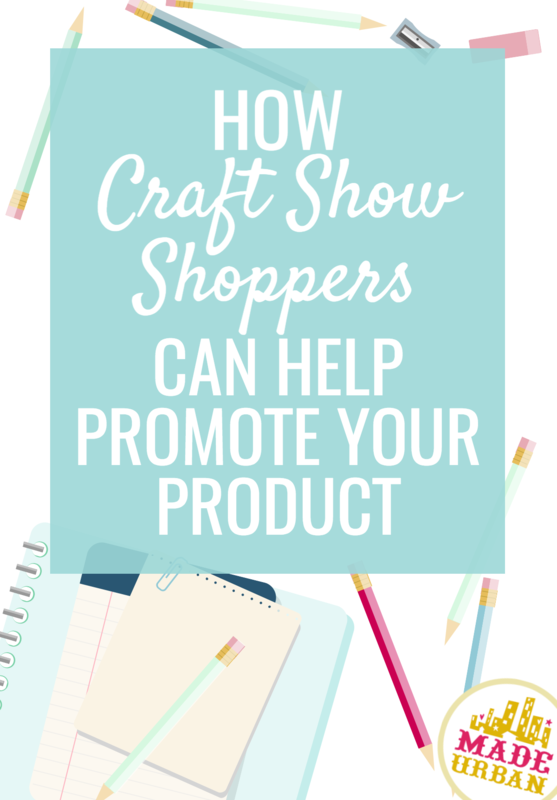 What better way to get your business name out there, your products into people’s feeds and encourage more shoppers to head down to the show than to get the people who are there, to promote the event and your craft show booth or table. 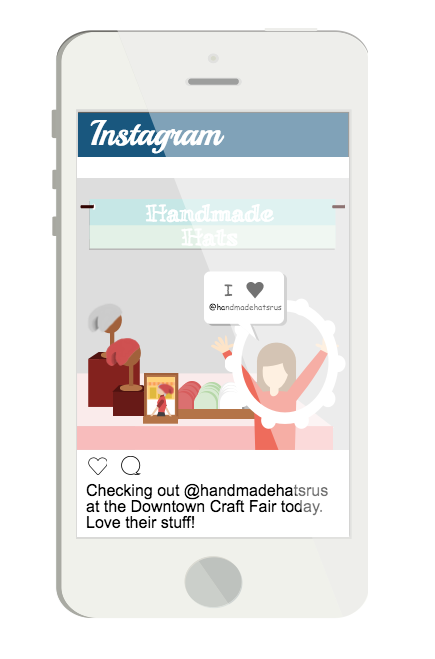 Get shoppers who stop by your booth to enter a contest by taking a picture. Turn your social media notifications on so your phone buzzes when someone tags you and get visitors to share a post or photo to their social media page. Have shoppers take a photo of their favorite product at your booth. Have shoppers take a photo of an item they hope Santa brings them so friends and family know what to get them and where to find it. Get a helper to dress up as Santa at Christmas time so people can get a photo with him on one side of your booth. Once someone purchases one of your products, encourage them to share a picture of it in action to help promote it. If it’s something they wear, get them to share how they sport it. If it’s something that goes in their home, have them take a picture of it in its natural surroundings with other items. If it’s something they use, they can show before and after results. If it’s something they eat, they can take a photo of themselves enjoying it or a photo of the meal they made from it. If it’s something they give, they can photograph the recipient receiving their gift. Once they snap that photo, get them to share it on one of their social media platforms and tag your business to enter the contest. This way, people who see the photo of your product in action and want one for themselves can follow the link to your business’ page. You can also keep track of people who have participated in the promote your product contest so you can reward them with a prize. 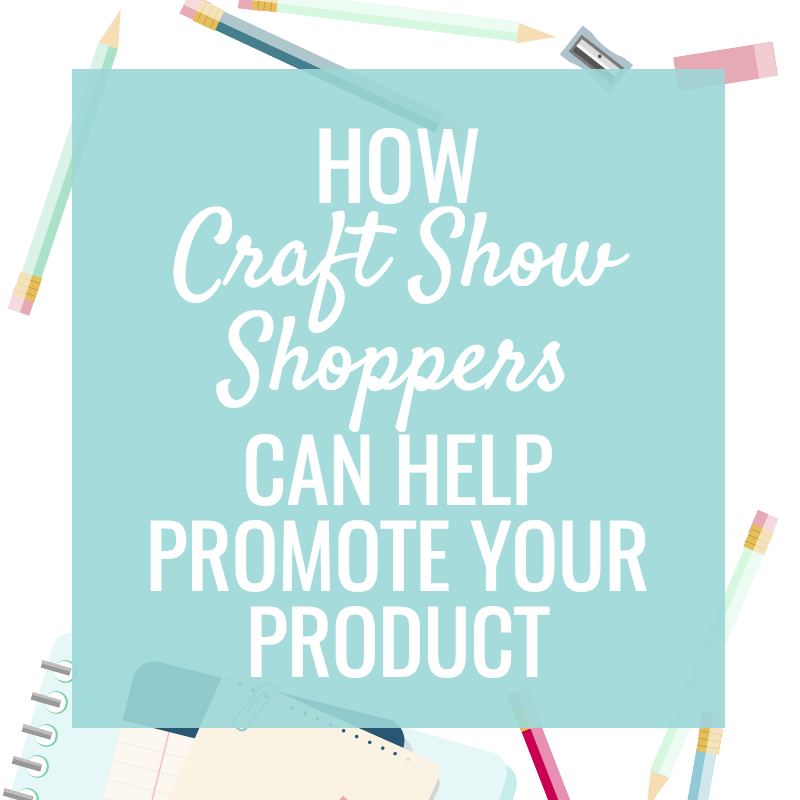 Do you have any other fun ways you get your craft show shoppers to help promote your handmade products? Share in the comment section! Really good information………BUT with all the ads blinking in & out and the information on the page moving all over the place made what you had to say seem very confusing. I almost gave up several times while trying to read because it was so frustrating trying to stay on task.